Australia : All cheques and/or Money Orders should be in Australian Dollars and made payable to Austech Surveillance. 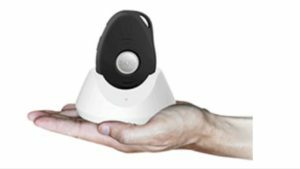 We accept Mastercard and Visa Payments, your payment will be processed within 48 hours of being received by Austech Surveillance. We accept payment by Bank Deposit, details will be provided at checkout. Stocked items will be despatched within 48 hours of receiving cleared funds, for special orders or backorders please allow up to 30 days for delivery. International : All International Orders must be paid for by Paypal. (We will send you a request for payment upon receipt of order). Postage must be included with all coin orders. In the event of a miscalculation of the postage rate on my credit card total of up to $10, I will allow Austech Surveillance to adjust the total to meet the order. Customers ordering both new and previous releases may receive a seperate delivery depending on availability. Products are available until SOLD OUT. Austech Surveillance reserves the right to place limits for retail quantities. By shopping at Austech Surveillance Online Store, and using this website, you are agreeing to the terms and condition listed here and elsewhere within this site. We may make changes to these condition at any time and encourage you to review them periodically for any changes or updates. Your continued access and use of the site shall be deemed your acceptance of these terms and subsequent changes. Orders can only be placed by people legally able to engage in a contract. Any order placed by you via this website is an offer to purchase a particular product or service (Including delivery and other charges) specified in this website at the time you place the order. Austech Surveillance reserves the right to accept or reject your offer for any reason, including, without limitation, the unavailability of any product, an error in the price or the product descritpion posted on this website, an error in your order or failure in your payment. Your ability to purchase products and services from this website may be terminated at any time by Austech Surveillance without notice. The products and services offered for sale are only available to individuals who can make legally binding contracts. Upon receipt of your order, Austech Surveillance will issue you with an email notification shortly aftwards listing the items ordered, the total product and shipping charges, delivery address, estimated shipping times and shipping carrier. This will not include any customs duties, local taxes or bank fees. This is a confirmation that we have received your order, not a confirmation of acceptance or processing. Transactions via the Austech Surveillance Online Shop are carried out in Australian Dollars and processed through the international banking system. (PAYPAL). International Orders are charged in Australian Dollars at the exchange rate of the day. Your final bill will be determined by the exchange rate applied by your credit card company at the time the charge is recorded, plus any fees applied by your credit card provider. For an indication of how to convert currencies to Australian Dollar please refere to the current conversaion figures available by various companies on the internet. These rates are indicative only. Not all products in the Austech Surveillance Online Shop are available at the time of ordering. Stock is subject to selling out. Price of products, services, delivery and other charges displayed on this website are current at the time of issue, but may change at any time and are subject to availability. The availability of prducts and services may change from time to time. Austech Surveillance retains title to the products you order until you have made payment in full for those products. Due to the valuable nature of Austech Surveillance products, we must be able to leave your parcel with someone at the address youve indicated, unless you provide us wuth special instructions first. Products will be deemed to be receive dby you if accepted by a person at your nominated address, or if your special instructions are complied with. Insurance only applies on Registered Parcels until the order is deliverred to your nominated address. Shipping details must include a street address and daytime telephone number. Your order cannot be dispatched if these details are missing or incomplete. Austech Surveillance is based in Perth, Western Australia and operates within the normal laws of commerce under Australian Business Law. The normal laws of international commerce apply to international transactions. Any disputes will be held under Western Australian Law in a Western Australian Court of Law. By using this website and/or purchasing from our Ebay Store (Austech Nominees) and or Ebay Auctions or Oztion Store (Austech Surveillance) you agree to receive information on new products, releases, catalogues or other marketing promotions by direct mail or email. If you prefer not to receive any marketing material please inform us by letter, fax or email and we will promptly remove you from our list. All information pertaining to those products is correct at the time of publishing excepting errors and omissions. Product price and specification is subject to change without notice. Product images are for illustration purposes only. Products may differ slightly from those depicted in images. Images remain the property of Austech Surveillance or their respective owners and are not to be copied or reproduced without the written permission of Austech Surveillance or their respective owners. We will not cover any claims for legal liability directly or indirectly arising out of or in connection with the failure of any alarm to correctly perform its intended function. We will not cover any claims for legal liability directly or indirectly arising out of or in connection with the failure of any product or products to correctly perform their intended function. Please Note - Austech Surveillance may or may not revieve rebates in relation to monitoring of Alarms, CCTV or otherwise.